We strived to achieve a celebration where all of our guests were able to enjoy the day surrounded by beautifully landscaped gardens looking out onto stunning rolling hills. We were blessed with nothing but sun and blue skies! There were several moments throughout our day that made it special for us and our loved ones. 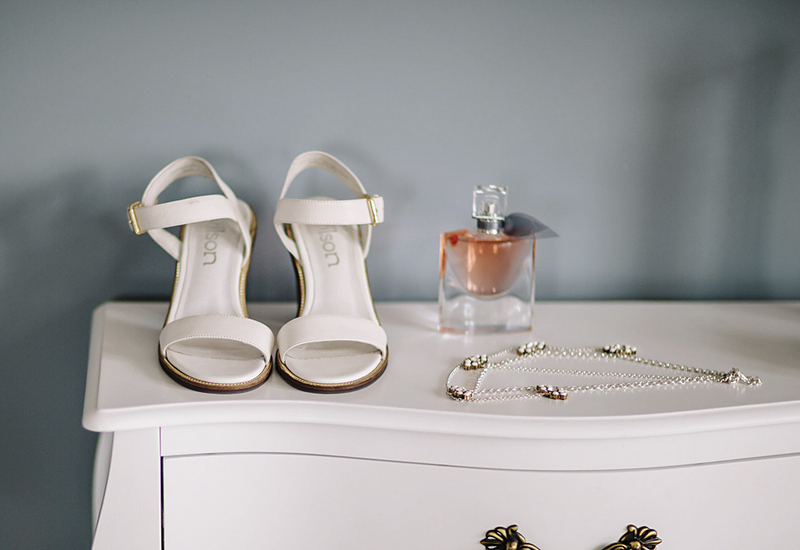 Eighteen weeks before the wedding, we were surprised to learn that we were expecting a baby. We discussed how this would be a great announcement at our wedding and so we decided to keep it as our little secret until then. 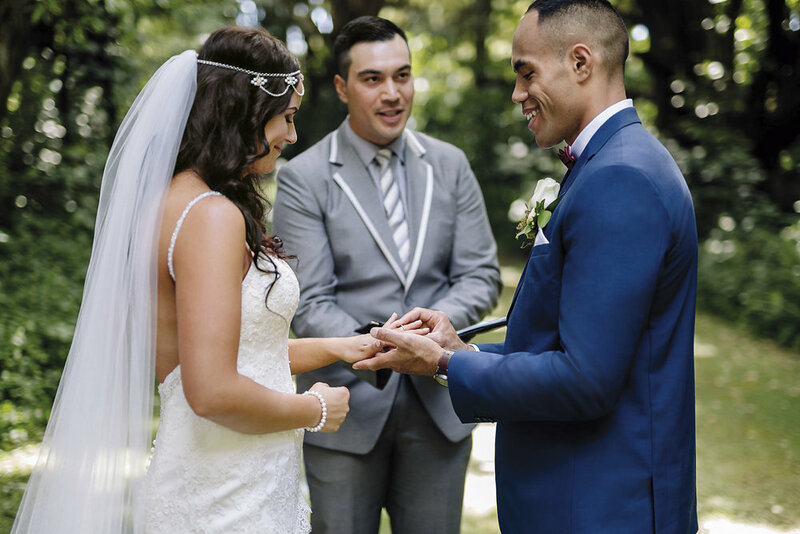 Right before we were announced as Mr and Mrs Masina, our celebrant handed the floor to Mataio where he said: ‘If our wedding was a week later, Stephanie would not have fit her dress.’ The reaction from our loved ones was priceless. It was special to be able to share this news with all our loved ones gathered in one place. A spine-tingling moment occurred right after Mataio’s best man (his brother) spoke. 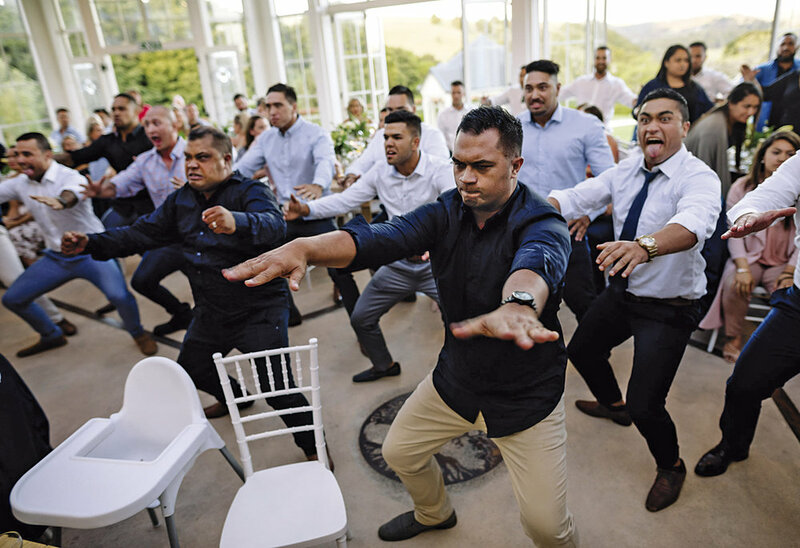 At the conclusion of his speech the rest of his siblings stood up and broke into a spontaneous haka, joined by the rest of Mataio’s friends and family. I was overcome with emotion, and everyone was just blown away. The Siva Samoa is a traditional dance traditionally performed by those of Samoan descent; however I decided I wanted to do one. Again, we decided to surprise our guests, and we spent months practising. After the speeches I made my way to the dance floor and the music began. It was only a matter of seconds before people joined in. Good weather, better company, endless laughter, a few surprises and a whole lot of love. Our day could not have been any better. 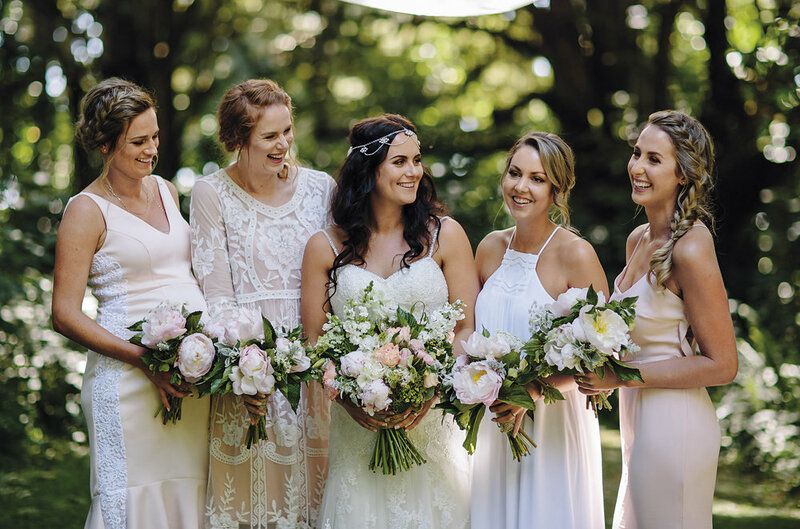 Others that made their wedding special: ASOS, Flo & Frankie, Witchery, Wolf & Elk, Naveya & Stone, Wrights Jewellers, Hedges Estate, Graze Food Co, Southern Spit Roast Company, Gee Pikinga, Anita Atkinson, Maryanne Wilcox, DJ Raemix, Dean Reihana.